For your convenience (and since we could not choose) we selected the 25 most recommended albums from the European contignent from 2010. Based on how many stars we gave them the past year in our reviews. The three albums in the top are the albums that got the five-star review. Next follow the albums with four stars in alphabetical order. 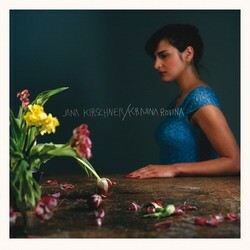 With ‘Krajina rovina’ Jana Kirschner created a true romantic masterpiece, putting herself in the top league of the Slovakian and central-european music scene! This album definitely deserves a wider audience. 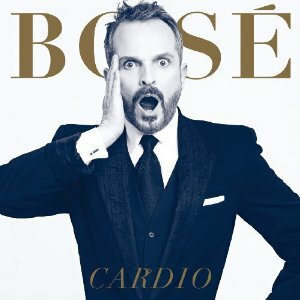 If you are interested in serious quality pop music, this album is highly recommended! Six months after ‘Röd’ they release the album ‘En plats i solen’ (A Place in the Sun). And what a brilliant album it is. Teaming up again with producer Stefan Boman who worked with the band on Du & jag döden (2005) the album sees a combination of their recent albums with their old work. 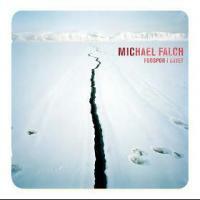 Five stars…well deserved..,super Europopmusic-album. La Oxa is back and with a fantastic, courageous album. It does make me wonder why it took her more than thirty years to reveal this incredible artist from somewhere deep down below the commercial San Remo chick from some decades back. Whatever the reason was for her to keep this side of her hidden away, I am very glad it came out finally! If there ever was an heir to Gainsbourg with the genes of Tom Waits Arno would be it. After some mixed albums the last years he returns very strong with an album dedicated to the Belgian capital Brussels. 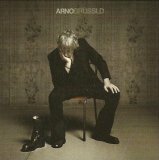 With ‘Brussld’ Arno recaptures himself after the ‘Jus de box’ album and again proves his musical talent and unique position in Europop. In 2005 she released the rushing rock album ‘Borderlove’, which she created with Daniel Darc, Jay and Alice Alanski Boots. More and more she was called the French Patti Smith or Marianne Faithfull. 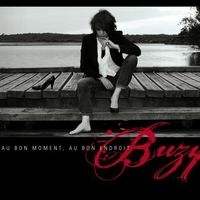 Now Buzy is back with an completely new album, ‘Au bon moment, au bon endroit’ (‘Right time, right place’). And it is definitely one of her best albums ever! A collaboration between the grand lady of French cinema and one of the most popular singers of France… that must mean we have something really special and exiting here! ‘Fodspor I havet’ was recorded during a seven months period that Falch was living in a small, lonely fisherman’s house on the island of Funen. For four months, the ocean that Falch overlooked from the house was frozen. The long hard winter in Funen is the major source of inspiration for ‘Fodspor I havet’. Winter time is also omni-present in the lyrics of the ten songs. 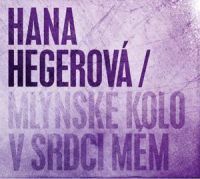 Almost 25 years after her last regular album release – the magnificent ‘Potměšilý host’ (‘Wicked person’) – Hana Hegerova just released a brand new record, ‘Mlýnské kolo v srdci mem’ (‘Mill wheel in my heart’). Well, brand new… the album by the grande dame of the Czechoslowakian music scene, who will turn eighty years old next year (! 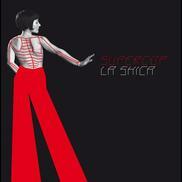 ), contains thirteen interpretations of French chansons. Highlights of the album are the back2back tracks ‘Elektrotechnique’ and ‘Vijf Sterren Abbo’ where the combo develop themselves in an all together electro-funk freakout. Jeugd van Tegenwoordig understand that they have to keep renewing itself, is just commendable. It creates an album that is more versatile than the two predecessors, without losing the consistency in their work. 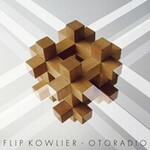 With this new album, three years after ‘De Man van 31’, ‘Otoradio’ sees a radical musical stylechange. Because Kowlier goes reggae. White Euro-reggae that is, bringing back the days of ‘Nightclubbing’ (Grace Jones), ‘4us’ (Doe Maar) and ‘Faut plus me la faire’ (Valerie Lagrange) and ‘African Reggae’ (Nina Hagen). With this new album Luke continues musically on it’s path of creating French rockmusic in the great tradition of Higelin, Téléphone and Noir Desir. But it were always the lyrics by Thomas Boulard that added that extra depth to the music. It is unclear what happened but Thomas’ mental state certainly turned to a bitter state for ‘D’autre part’. More than three years after the very credible, but commercially less successful ‘In territorio nemico’ (‘In enemy territory’) on the small NAR-label, Milva is back with a new album for Universal: ‘Non conosco nessun Patrizio!’ (‘No I do not know any Patrick!’). It is a very special album since it is a collection of ten songs by the great Sicilian singer and songwriter Franco Battiato. ‘Už’ does not offer you an easy listening experience. But it does contain twelve very intelligent songs that are bound to get under your skin, when you open up to them. His songs and singing style sometimes reminds me of Alain Bashung (France). 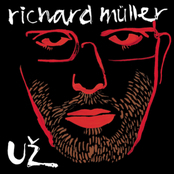 Although Richard is true to his native language (he only sings in the Slovakian or Czech language), his music definitely has the quality to appeal a wider international audience. Elsa Rovayo, singer and driving force behind Madrilean band La Shica, has dedicated her life to flamenco. Rap, jazz, flamenco and handclaps bustle over each other in a swinging finale. If you’re already used to the Mestiza sound of Ojos de Brujo and Macaco you should take the next step and be baffled by the stylish universe of La Shica and Nu-Copla. All the songs were written and composed by herself and show many eastern influences. The exotic rhythms, at times possibly a bit difficult for Western ears, are typical for Yildiz’ songs. But this time, thanks to the fantastic orchestration, the songs sound warmer and more organic than ever. And the same can be said how Tocotronic build up the album flowing from intelligent pop, to psychedelic indie-rock, to glorious garage noise. This could be a highly dangerous mix. But they never falter and deliver a surprisingly balanced album. An album that holds a central theme that stands directly opposite to their former album, from 'Surrender’ to resistance. Female abuse by their male partner was one of the central themes of the original six songs on the ep. 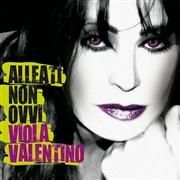 With the extension of the project with six new songs, La Valentino further explores this theme, but now from the perspective of a homosexual person. 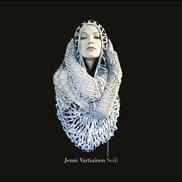 The question is: is Jenni Vartiainen a new europop talent? After listening to ’Seili’ a few times, the answer is without a single doubt: yes! This girl proves that there can come some good out of a tv talent shows. She composed most of the songs on the album, together with popular Finnish composers like Mariska and Teemu Brumila. The songs on ‘Kunnes joet muuttaa suunta’ all have the typical Vilkkumaa signature. The hooks and choruses turn every song into an irresistible tune that you cannot get out of your head easily. Yet they sound somehow more structured and straightforward than her previous albums due to the more transparent and basic production and arrangements. Polish avant garde rock collective is back at the front with the message that all musicians are warriors. And with it they take a turn to a more rough approach. Gone are the jazz influences and in with the stonerrock and grunge. And it becomes them..
Is it a form of Deutschrock-countryfolk? Maybe but meanwhile tracks like ‘Dramatiker’, ‘Im auge des sturms’ and ’23.55, alles auf anfang’ make you wanna dosido your Lederhosen partner. The album features enough uptempo songs to make it a well balanced album and serious step forward for the band. It can absolutely measure itself with their breakthrough album ‘Von hier an blind’ and is maybe even better. For this year there wasn’t a more highly anticipated album at the Europop office then the new one from French singer Zazie. And finally it has arrived. Does it live up to our expectations ? After long debate we had to conclude that Zazie did make another great album but that she also got lost in the massive project she cooked up.